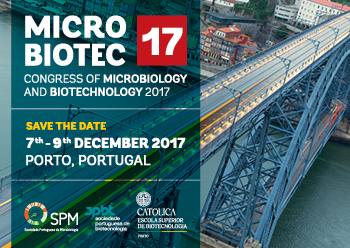 MICROBIOTEC´17 will be held at the charming city of Porto. Don’t miss this opportunity to join the biannual meeting of Portuguese Microbiologists and Biotechnologists. We are looking forward to your participation. More information can be found here.